(CBS/AP) OAK BEACH, N.Y. - Investigators scouring dense undergrowth for victims of a suspected serial killer along a remote Long Island beach area found three more sets of remains Monday, authorities said, bringing the total number of bodies to eight. The new remains are in addition to those found last week along a highway leading to popular Jones Beach, about 45 miles east of New York City. That victim has not been identified, and police have not positively connected the remains it to the bodies of four prostitutes found nearby in December. 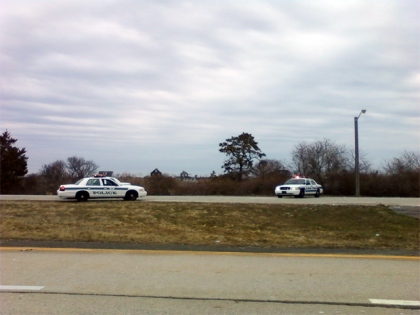 island south of Long Island, Suffolk County Police Commissioner Richard Dormer said. They also used cadaver dogs, police academy cadets, detectives and volunteer firefighters. A search was expected to resume Tuesday. The four dead prostitutes were found in December in the area, a 4-foot-tall tangle of sea grass punctuated by scrubby pine trees. Authorities have identified those four as Amber Lynn Costello, 27, originally of Wilmington, N.C.; Megan Waterman, 22, of Scarborough, Maine; Maureen Brainard-Barnes, 28, of Norwich, Conn.; and Melissa Barthelemy, 24, of Buffalo, N.Y.